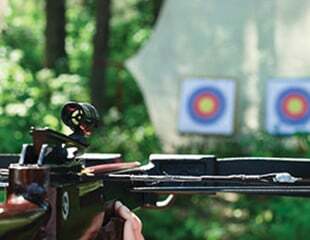 This course covers the safe usage of Category M weapons (Crossbow Safety). Crossbows are classed as a Category M weapons in QLD. They can be used for sports and target shooting, as well as recreational shooting on a property. Unlike firearms, they are quiet and the bolts travel shorter distances than projectiles making them a great alternative to firearms on smaller properties; or perhaps something for the avid bow hunter to consider. Safe storage and transport as well as a range of additional information that is essential for all arbalests. On successful completion of this course, you will receive a Statement of Attainment for 10618NAT Course in Firearms Safety (Approved for Firearms Licensing in Queensland). This course meets the training requirements to apply for a QLD Weapons Licence for Category M Crossbows. For more information regarding specific licensing requirements, please visit Weapons Licensing QLD. The course content is delivered face-to-face over 4 hours through a range of mediums including classroom-based theory, practical handling of a crossbow and a live fire activity on an approved range. Click here to view our upcoming workshops or contact us if you would like a workshop in a different location. For groups of 5 or more we may be able to schedule a stand-alone workshop to accommodate for your needs. Please note: Recognition of Prior Learning is not available on Firearms Safety Courses. Course fees vary depending on the location and delivery mode of the course. This is due to the differences in range fees in different locations. Please view our upcoming workshops below for course fees at each location. Crossbow Licensing in QLD is administered by the QLD Police Weapons Licensing Branch. Information regarding the licence application process is provided during the course. For more information about licensing or to lodge an online application click here. “Please pass my best thanks to Mark for the reloading course on Saturday.